While at Fire Prevention at the Lenkerville Elementary School, we had a very special presentation. 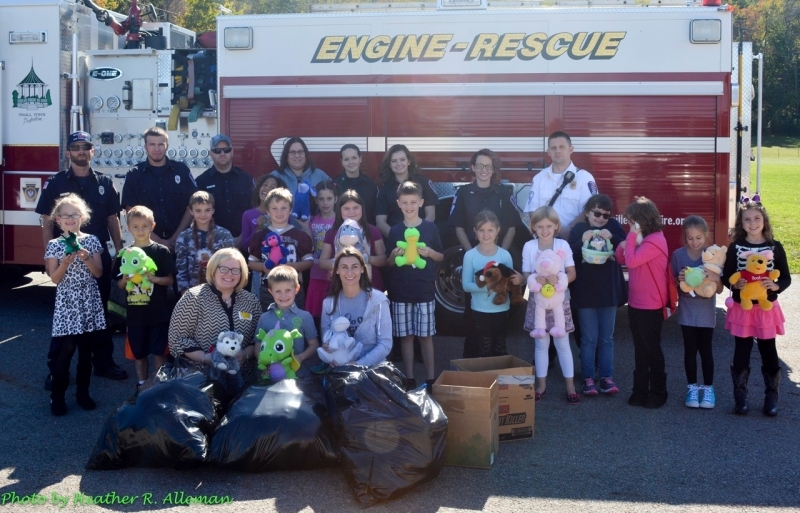 Second grader, Bryson Null organized a stuffed animal drive with MI Charitable Foundation to help other kids who have been involved in various tragic situations. Bryson got the idea after having his tonsils removed and wanted to do something nice for other kids in similar situations. We will be using these stuffed animals to give to children who were in accidents and fires and other terrible situations to help make them feel a little better in a bad time. Thanks Bryson and way to go! !